Diarylide Yellow is a semi-opaque, moderately staining, intense deep reddish yellow pigment with good tinting strength. Diarylide Yellow 83 has very good lightfastness and permanence. However, it can fade in tints, so some artists do not consider it suitable as an artists’ color. Many other diarylide yellow pigments are reported to have fair to poor lightfastness, and some are completely fugitive. Diarylide Yellow 83 is reputed to be one of the most permanent of the entire group. Diarylide Yellow has no significant acute hazards, but chronic hazards have not been well studied. Diarylide Yellow comes from a family of azo pigments called Diarylide. These yellow hued pigments were developed around 1940 and are very important in printing inks. Perylene Maroon is a transparent, dull to moderately dull, deep red pigment. Its transparency makes it useful as a glazing color. Its mixing complement is Phthalo Green, and together they produce a pure black that is darker than most carbon-based pigments. 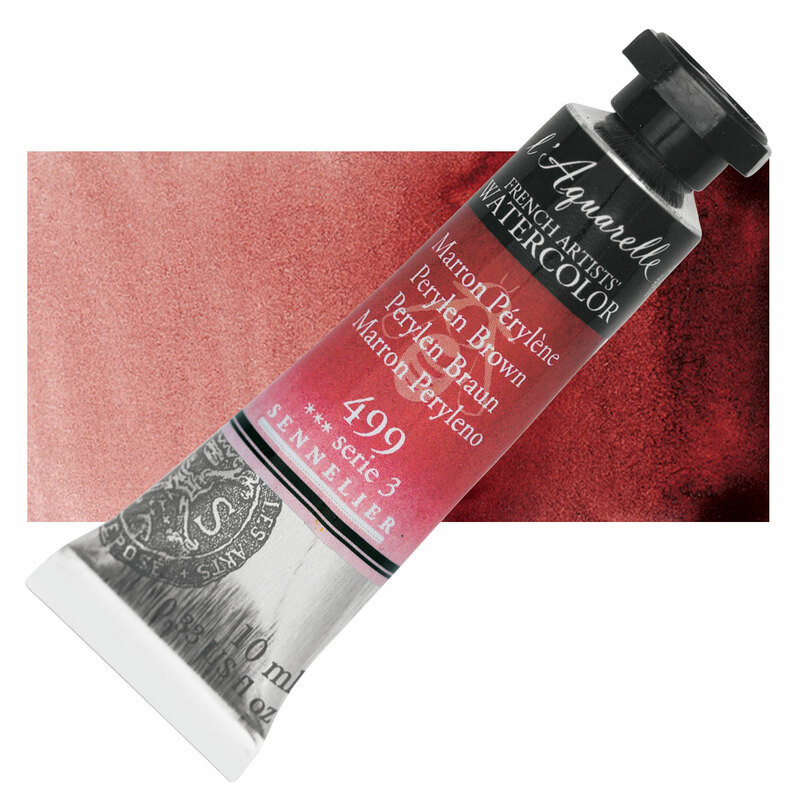 Perylene Maroon has excellent permanence and lightfastness, and it can be an appropriate replacement for Anthraquinone Red in watercolor form. Perylene Maroon has no significant acute toxicity. Its long term hazards are currently unknown. Perylenes have been used as vat dyes since 1912, but they were not manufactured and sold as pigments until 1957.